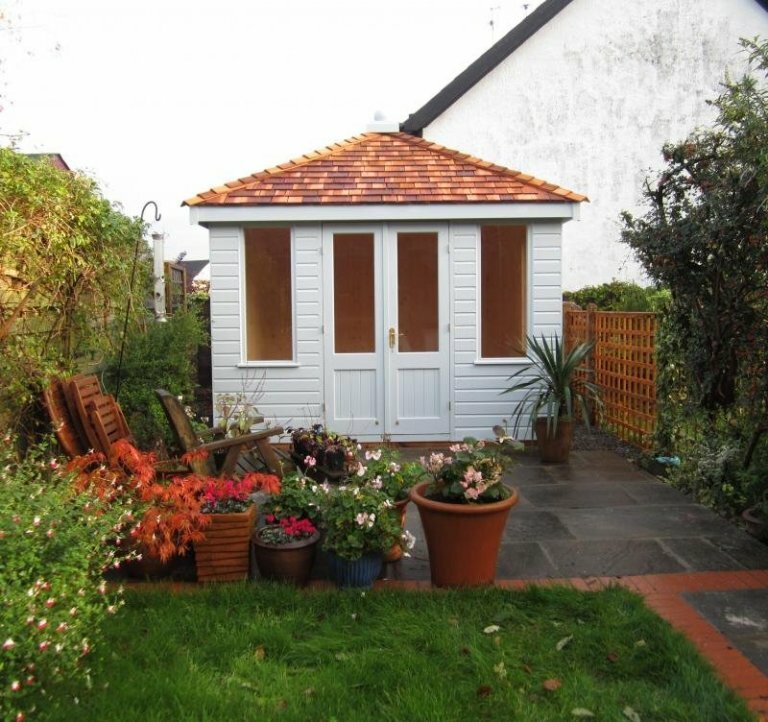 This charming Cley Summerhouse was recently installed in our customer's south-facing garden in Harrow, London and is to be used as a study room and relaxation area. 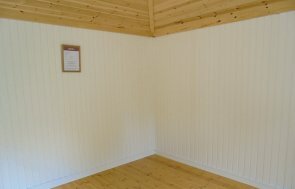 Fully lined and insulated as standard, the interior was finished in a natural matchboard lining. The customer opted for plain glazed windows, which allows greater light transmission. The exterior planed shiplap cladding was coated in our Valtti paint system in Saltwater colour and when combined with the cedar shingles, offers long-lasting protection against the elements and keeps ongoing maintenance and redecoration to a minimum. Built using FSC® certified timber sourced from Northern Sweden, the team of craftsmen at our factory HQ in Norfolk hand make every component, including the doors and windows to ensure a consistently high standard of finish. 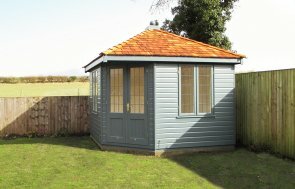 Why not view our range of garden sheds, summerhouses, garden studios, garden rooms, timber garages or our range of hand-crafted Victoria greenhouses at one of our UK showsites and experience the quality for yourself. At our show sites you can also speak to one of our friendly advisors who are on hand to answer any queries you might have. Locate your nearest here. If you would prefer to Contact Us or call us on 01760 444229, one our friendly team will be more than happy to talk through your requirements directly.